Drawing on India's ancient roots, Prime explores the possibility of applying old-world knowledge to new-world problems. 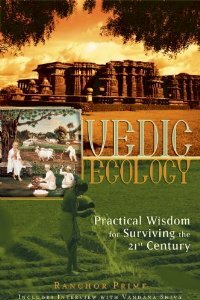 Discover the environmental perspective put forth by the Vedas and how environmental activists and thinkers are applying it today. The author presents his own conclusions about high thinking and simple living, as well as interviewing prominent activists including scientist Vandana Shiva, Satish Kumar, Banwari (editor of Jansata, a Hindi daily newspaper) and prominent environmentalist Sevak Saran. Includes over 45 illustrations. 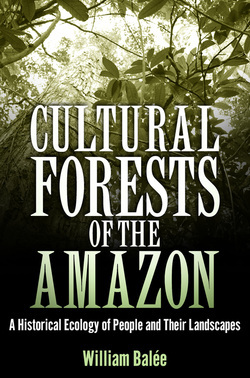 Cultural Forests of the Amazon is a comprehensive and diverse account of how indigenous people transformed landscapes and managed resources in the most extensive region of tropical forests in the world. Until recently, most scholars and scientists, as well as the general public, thought indigenous people had a minimum impact on Amazon forests, once considered to be total wildernesses. William Balée’s research, conducted over a span of three decades, shows a more complicated truth. In Cultural Forests of the Amazon,he argues that indigenous people, past and present, have time and time again profoundly transformed nature into culture. Moreover, they have done so using their traditional knowledge and technology developed over thousands of years. Balée demonstrates the inestimable value of indigenous knowledge in providing guideposts for a potentially less destructive future of environments and biota in the Amazon. He shows that we can no longer think about species and landscape diversity in any tropical forest without taking into account the intricacies of human history and the impact of all forms of knowledge and technology. Balée describes the development of his historical ecology approach in Amazonia, along with important material on little-known forest dwellers and their habitats, current thinking in Amazonian historical ecology, and a narrative of his own dialogue with the Amazon and its people. "....a great book to challenge us on assumptions we often take for granted in these times. I rather enjoyed the psychological, historical, sociological and economic perspectives that he presented as he contrasted spiritual perspectives. This piece stands the test of time enough to challenge even the most contemporary thinkers." [The Book] first came out in 1973, re-released in 1992, and then again in 2003. It remains a scathing indictment of the western Christian approach to relations between the human and the earth. Deloria’s intent is to contrast that with the spiritualities of the native tribes of this land we call North America. He describes how Christian orthodoxy, and a spirituality rooted in the centrality of the human to which the earth is made to submit, is an essential aspect of what has led us down this road to our imminent ecological destruction. The twenty-two contributors ask how traditional concepts of nature in the classical texts might inspire or impede an eco-friendly attitude among modern Hindus, and they describe some grassroots approaches to environmental protection. They look to Gandhian principles of minimal consumption, self-reliance, simplicity, and sustainability. And they explore forests and sacred groves in text and tradition and review the political and religious controversies surrounding India's sacred river systems. Michael Cremo and Mukunda Goswami outline a challenging new vision of humankind and the natural world, revealing how a spiritual approach can save humanity from the environmental catastrophe we have been heading towards. They contend that real solutions to our current environmental problems will be implemented only through a shift in human consciousness and an awakening to the spiritual dimension of this crisis. The authors touch on a wide range of topics, including the earth's threatened wildlife, shrinking rainforests, eroding soil, proliferation of trash, and toxic waste disposal. The negative environmental impact of meat consumption is also uncovered--deforestation, agricultural inefficiency, and air and water pollution. Its in-depth exploration of history, scientific theory, and the metaphysics of karma offers concerned earth-watchers a spiritual blueprint for creating a better world. The developed world, increasingly aware of "inconvenient truths" about global warming and sustainability, is turning its attention to possible remedies-eco-efficiency, sustainable development, and corporate social responsibility, among others. But such measures are mere Band-Aids, and they may actually do more harm than good, says John Ehrenfeld, a pioneer in the field of industrial ecology. In this deeply considered book, Ehrenfeld challenges conventional understandings of "solving" environmental problems and offers a radically new set of strategies to attain sustainability. The book is founded upon this new definition: sustainability is the possibility that humans and other life will flourish on Earth forever. There are obstacles to this hopeful vision, however, and overcoming them will require us to transform our behavior, both individually and collectively. Ehrenfeld identifies problematic cultural attributes-such as the unending consumption that characterizes modern life-and outlines practical steps toward developing sustainability as a mindset. By focusing on the "being" mode of human existence rather than on the unsustainable "having" mode we cling to now, he asserts, a sustainable world is within our reach. Trained as a scientist, Fukuoka rejected both modern agribusiness and centuries of agricultural lore. Over the next three decades he perfected his so-called “do-nothing” technique: commonsense, sustainable practices that all but eliminate the use of pesticides, fertilizer, tillage, and perhaps most significantly, wasteful effort. Whether you’re a guerrilla gardener or a kitchen gardener, dedicated to slow food or simply looking to live a healthier life, you will find something here—you may even be moved to start a revolution of your own. 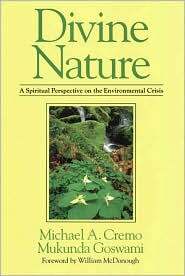 Argues that true sustainability must be based in spirituality and looks at religious communities dedicated to the environment. This groundbreaking book explores the inherent interconnectedness of sustainability and spirituality, acknowledging the dependency of one upon the other. John E. Carroll contends that true ecological sustainability, in contrast to the cosmetic attempts at sustainability we see around us, questions our society's fundamental values and is so countercultural that it is resisted by anyone without a spiritual belief in something deeper than efficiency, technology, or economics. 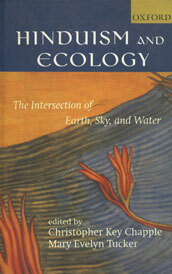 Carroll draws on the work of cultural historian and "geologian" Thomas Berry, whose eco-spiritual thought underlies many of the sustainability efforts of communities described in this book, including particular branches of Catholic religious orders and the loosely organized Sisters of the Earth. 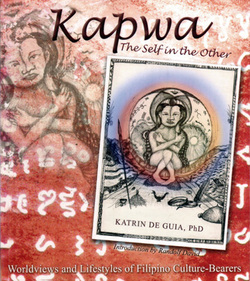 The writings of Native Americans on spirituality and ecology are also highlighted. These models for sustainability not only represent the tangible link between ecology and spirituality, but also, more importantly, a vision of what could be. 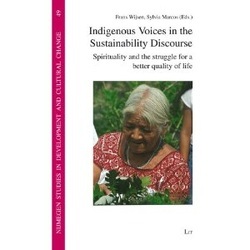 This book is the outcome of a research program conducted by an international and multidisciplinary team of 20 scholars on the relation between indigenous spirituality and sustainable development. 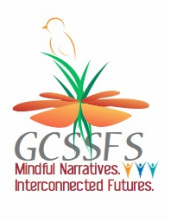 It reveals that there is a clash between the developmental views of modern scientific knowledge and traditional indigenous knowledge, each claiming to be better able to contribute to sustainability than the other. Some authors put more trust in modern science and others in indigenous spirituality, yet others occupy a position in between. Whatever their position, all authors hold that in principle evidence-based research can show which knowledge claim is more appropriate to bring about a better quality of life. Sylvia Marcos taught at Harvard University, Union Theological Seminary and Drew Theological Seminary. She has been Visiting Professor at Claremont Graduate University since 1996. Frans Wijsen is professor of Interreligious Studies in the Faculty of Religious Studies and director of the Institute of Mission Studies at Radboud University Nijmegen, the Netherlands. 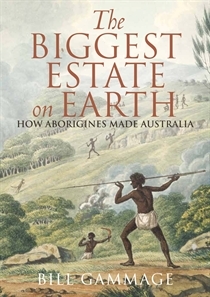 Explodes the myth that pre-settlement Australia was an untamed wilderness revealing the complex, country-wide systems of land management used by Aboriginal people. In India, as elsewhere in many parts of the world, a number of communities practise different forms of nature worship. One such significant tradition is that of providing protection to patches of forests dedicated to deities and/or ancestral spirits. These patches of forests are known as sacred groves. The tradition is very ancient and once was widespread in most parts of the world. The estimated number of sacred groves in India in about two lakhs. Groves are rich heritage of India, and play an important role in religious and socio-cultural life of the local people. These ecosystems harbour many threatened, endangered and rare plant and animal species. 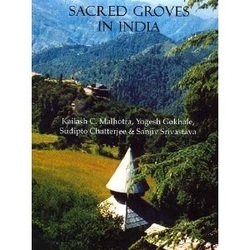 The book covers various cultural and ecological dimensions of sacred groves in India, and describes recent initiatives undertaken by various stakeholders to strengthen this multifarious institution. 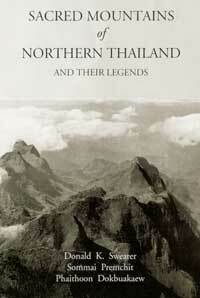 Drawing on the legendary histories of three mountains in the region—Doi Ang Salung Chiang Dao, Doi Suthep, and Doi Kham—coauthor Donald Swearer explores the various ways that mountains in northern Thailand are seen as sacred space, and therefore as an environment to be respected rather than exploited. This volume presents, in English translation, the stories associated with these sacred sites as recorded in the legendary chronicles, or tamnan, of the region. In preserving the fascinating folklore of these sacred mountains, the authors contribute to the preservation of the mountains themselves. In western scholarship, Africa’s so-called sacred forests are often treated as the remains of primeval forests, ethnographic curiosities, or cultural relics from a static precolonial past. Their continuing importance in African societies, however, shows that this “relic theory” is inadequate for understanding current social and ecological dynamics. African Sacred Groves challenges dominant views of these landscape features by redefining the subject matter beyond the compelling yet uninformative term “sacred.” The term “ethnoforests” incorporates the environmental, social-political, and symbolic aspects of these forests without giving undue primacy to their religious values. This interdisciplinary book by an international group of scholars and conservation practitioners provides a methodological framework for understanding these forests by examining their ecological characteristics, delineating how they relate to social dynamics and historical contexts, exploring their ideological aspects, and evaluating their strengths and weaknesses as sites for community-based resource management and the conservation of cultural and biological diversity. Slawson begins with his experiences as a master gardener's apprentice in Japan and ends with a full translation of an ancient gardening manual used by Buddhist monks. Each page overflows with background, details and inspiration. He urges and inspires you not to transplant an existing garden design, but…to evolve a plan reflective of your own individual location and taste. 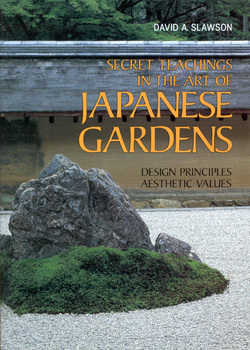 By clearly dissecting the aesthetic principles behind Japanese garden design, the book succeeds in creating a truly inspirational guide. Every major step man takes wreaks its own damage on the environment. Aware of this, man is yet unwilling to forgo the immediate material benefits his actions give. For all his professions of concern about the environment, in reality his concern reduces to nothing more than cosmetic changes in the exterior which are of no value. This slender monograph is a critique on this pervasive culture of ambivalence. 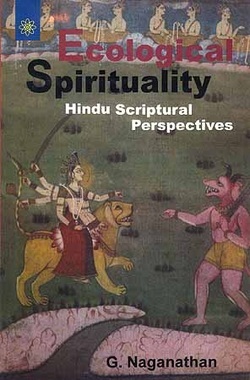 The author resorts to first principles, Sanatana Dharma which literally means eternal order. Disorder can be overcome only by order. Here there is nothing fundamentalist or sectarian. What could be the true meaning of civilization? What constitutes progress? What is the content of development? Why does man, so successful in exterminating every other species, fail to check his own kind? These are a few of the questions addressed by the author. He is conscious his perceptions and prescriptions may sound utopian, simplistic. Equally firm is his conviction that anything less will not do. Not environmental engineering but ecological spirituality is the answer. In fact this is the only religion the world needs. This book show balanced in attending both positive and negative issues and importantly, they consider the practical implications for human behavior and public policy. This is a thoughtful and useful contribution to discussions of sustainability and religion in Malaysia and elsewhere. Shows the psychological roots of our ecological crisis. Personal in its style yet radical in its vision, Radical Ecopsychology, (going into the Second Edition in 2013) offers an original introduction to ecopsychology—an emerging field that ties the human mind to the natural world. In order for ecopsychology to be a force for social change, Andy Fisher insists it must become a more comprehensive and critical undertaking. Drawing masterfully from humanistic psychology, hermeneutics, phenomenology, radical ecology, nature writing, and critical theory, he develops a compelling account of how the human psyche still belongs to nature. 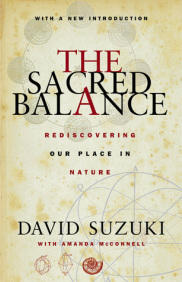 Suzuki explores the physical, social, and spiritual needs that form the basis of any society that aspires to a sustainable future and a high quality life for its citizens. Those fundamental requirements are rooted in the Earth and its life support systems. They are worthy of reverence and respect; they are sacred. Every day, in newspapers and on television, we read and hear about the ongoing destruction of the environment: the greenhouse effect, ozone layer depletion, deforestation, and air and water pollution. Deep Ecology offers a solution to the environmental crisis through a radical shift in human consciousness—a fundamental change in the way people relate with the environment. Instead of thinking of nature as a resource to be used for human needs, Deep Ecology argues that the true value of nature is intrinsic and independent of its utility. Emerging in the 1980s as an influential philosophical, social, and political movement, Deep Ecology has shaped the environmental debate among leading activists and policymakers—from former Vice-President Al Gore to Dave Forman, cofounder of Earth First! 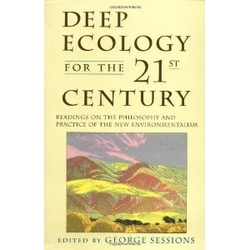 Deep Ecology for the Twenty-First Century contains thirty-nine articles by the leading writers and thinkers in the filed, offering a comprehensive array of perspectives on this new approach to environmentalism. Why do some Filipinos like to stay in the Philippines even if they live a simple life and do not earn much? Katrin's personal narrative interwoven with her scholarly exploration of Kapwa, Pakikiramdam, Loob, Dangal, Paninindigan -- as core cultural concepts; how these values are lived and made manifest in the art of Filipino culture-bearers.